A question we often ask partnering farmers is how their relationship with God has changed since Plant With Purpose began working with their communities. A common reply is, “We are now planting trees.” In my American mindset, I dismissed these responses, thinking that somewhere along the line, something must have been lost in translation. Tree planting is an environmental activity, not something that reflects a maturing relationship with the Lord. But upon traveling to Tanzania and speaking to our partnering farmers first hand, it began to make sense. 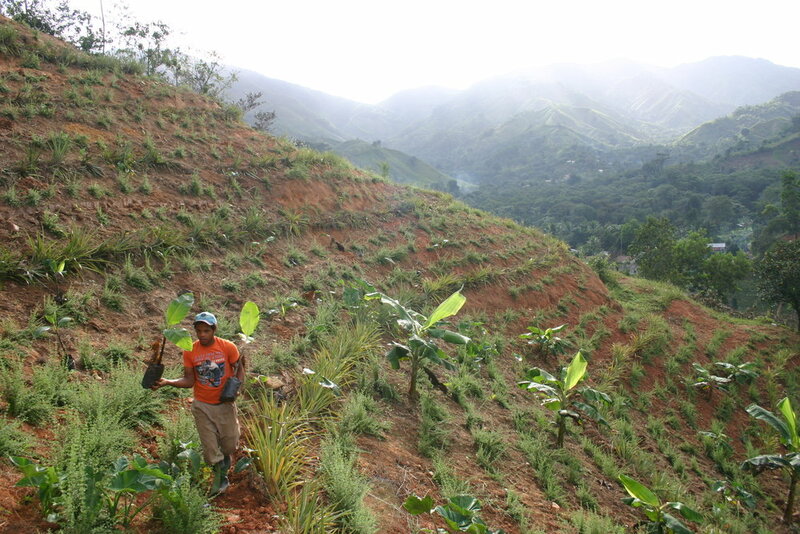 To Plant With Purpose's partnering farmers, the act of planting trees is an act of worship. It is an outward expression of their faith, a way in which they are honoring God and walking in obedience. We could base this tree-planting theology on Paul’s writing in Colossians 3:17, “And whatever you do, whether in word or deed, do it all in the name of the Lord Jesus, giving thanks to God the Father through him.” However, we see from Genesis to Revelation, the Scriptures talking about creation and offering insights into God’s relationship with the physical works of his hands. God puts Adam in the garden and tells him to tend and keep the land. The songs in Psalms offer perspective on how the trees and the hills praise the Lord while the heavens declare the glory of the Lord. And in Revelation, John closes with the new heaven coming down to earth, and the Tree of Life being central in the coming kingdom. Plant With Purpose participants across the seven international programs understand this insight. God created the earth. He cares about creation. We were given the responsibility to steward it. So of course, planting trees is an act of worship. “We’re taught that God created the earth and we are commanded to take care of it. Planting trees is one way we do this,” shares Isaya. His tree nursery holds hundreds of seedlings, which he gives away for free. He calls these seedlings his bible—small objects holding countless lessons and valuable in their worth. Neighbor and friends are drawn to the transformation they see in Isaya’s life and in his land. Isaya instructs them on how to plant trees and even provides environmental education to the children in the local school. Tree planting is now part of the local curriculum to which Isaya declares, “I love this work.” He also clearly loves the Lord. A version of this article was originally published in our quarterly newsletter, The Sower. Read past editions here and sign up to receive it in the future here.